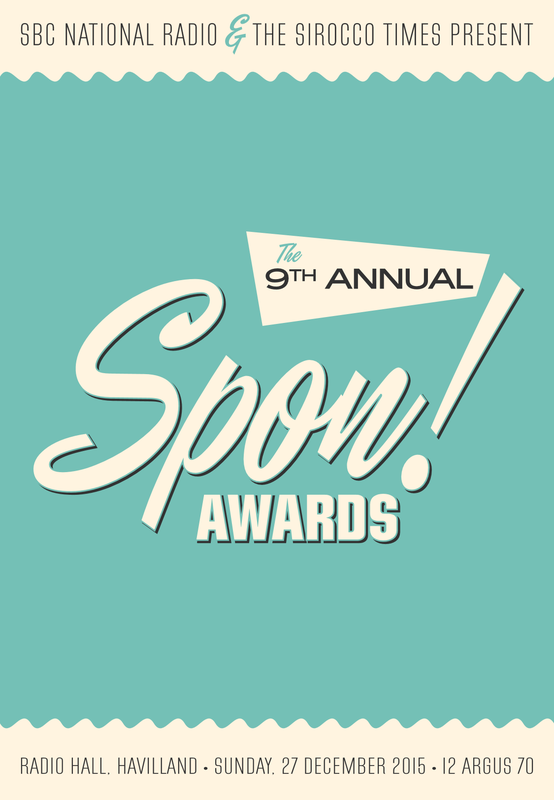 ANNUAL SPECTACLE: The annual tradition of the Spon Awards has continued this year with the ninth annual hosting of the ceremony that predates Sirocco itself. Alston, CA, Dec 27 · Arg 12 – The annual ceremony that is the Spon Awards has today given out its ninth set of accolades at the event in Alston this afternoon, in which tight races gave narrow victories in several key categories. The awards were sponsored by the Institute of Scientific Research, LogoWorks Sirocco, the National Centre of Computing, National Post and Telegraph, National Radio, the Siroccan Broadcasting Corporation, and the Sirocco Times. The 2015 selections for the Film of the Year award were dominated by comedies, as has been the tradition in recent years. The majority of nominees were from the late 1970s and early to mid-1980s, including Animal House (1978), Airplane! (1980), and Mischief (1985), with Roman Holiday (1953) and Who’s Minding the Store (1963) as the Atomic Age offerings. Despite a strong showing from the classic comedies, it was Disney-Pixar’s 2015 offering Inside Out that took the award, with judges praising its unique concept, bold presentation, and gripping writing. Inside Out is the third winner from the 2010s, alongside Harry Potter and the Deathly Hallows Part I (2010) in 2011 and God Bless America (2011) in 2014. Nominees: Airplane! (1980), Animal House (1978), Back to the Future (1985), Inside Out (2015), Johnny Dangerously (1984), Mischief (1985), Roman Holiday (1953), Secret Admirer (1985), The Meaning of Life (1983), Who’s Minding the Store? (1963). 1950s-styled fonts were very popular this year, with the likes of Eubie Script and Filmotype Fashion taking Siroccan design by storm this year for their fun, atomic appeal. Old-fashioned favourites Cheltenham and Franklin Gothic appeared, as did the more serious LHF Essendine and New Caledonia typefaces. Despite strong competition, the award was this year given to the Metro Nova Pro typeface, popular in newspapers around the world in the 1950s and 1960s, but which was lost until 2012 and then digitised the following year. Judges praised its flexibility and the secondary set of characters which changed the look of the text, known as the Geometric 415 typeface. Nominees: Cheltenham, Eubie Script, Filmotype Fashion, Franklin Gothic Std No. 2, LHF Essendine, Metro Nova Pro/Geometric 415, New Caledonia. Modern games were the trend in the 2015 awards, with three offerings from 2015 and the oldest from 2011. There was no clear dominant genre, with nominees ranging from first-person shooters to simulations. L.A. Noire started 2015 strongly, before the release of Cities: Skylines took over. Creative game Rust was briefly popular before falling away in the middle of the year, while Euro Truck Simulator 2 maintained steady popularity through the year. The main competition came from gaming titans Fallout 4 and Grand Theft Auto V (GTA V). Both were praised for their large worlds and depth of content, as well as on individual merits: GTA V‘s regular updates and scale, and Fallout 4 for its story and gameplay. Judges were torn between the two games, and after being unable to reach a consensus, awarded both games the title in a first for the Spons. Nominees: Cities: Skylines (Colossal Order, 2015), Euro Truck Simulator 2 (SCS Software, 2012), Fallout 4 (Bethesda, 2015), Grand Theft Auto V (Rockstar, 2013), L.A. Noire (Rockstar, 2011), Rust (Facepunch Studios, 2015). The Micronation of the Year Award is given to a nation deemed as having either undertaken strong diplomatic work with Sirocco, or having had a major presence in the micronational community during the year. 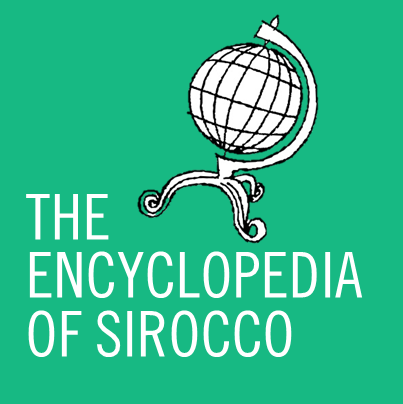 With Sirocco gradually returning from a period of inactivity in 2014 and the first half of 2015, concentration was given to nations that had worked with Sirocco over the period. The surprising news of the opening of relations between Sirocco and Sandus of the eve of the new year 70 became the focal point of discussion, and resulted in Sandus unexpectedly winning this year’s award. Nominees: Doria, Erephisia, Førvania, Ladonia, Landashir, Mercia, Sandus, Überstadt. Sometimes considered the smallest and most ‘unloved’ award, the Program of the Year Award nonetheless can record the continuing advancement of computer software. In a small field of three nominees, the award would be given to the biggest advancement of the year. Microsoft’s Cortana was praised by judges as becoming significantly smarter and more useful in 2015. However, her inclusion in the new Windows 10 operating system was not enough to give it the award instead, with judges expressing disappointment at “significant bugs” in the software, also saying that it was released too early. Despite this, they say, the possibility of the operating system’s inclusion in the 2016 awards cannot be ruled out. Nominees: Cortana, VLC Media Player, Windows 10. Despite some confusion over the scope of this award in previous years, 2015 saw the Show award return to its television roots with a selection of classic sitcoms. In a twist on the usual prominence of British comedies in Sirocco, an American sitcom also featured on the list. Show of the Year 2015: Yes Minister/Yes, Prime Minister (BBC, 1980-88). Nominees: Citizen Smith (BBC, 1977-80), The Dukes of Hazzard (CBS, 1979-85), Mind Your Language (ITV, 1977-79), The Thin Blue Line (BBC, 1995-96), Yes Minister/Yes, Prime Minister (BBC, 1980-88). The oldest (and some say most significant) award is the most carefully considered every year. Despite a trend in recent years towards music from the 1950s, the 2015 nominees included a strong contingent of 1970s and 1980s music, including the likes of Chicago, Nicolette Larson, Renaissance, and Dave Edmunds. Surprisingly, the 2010s featured four times, with Change of Coast (Neon Indian), Geronimo (Sheppard), Safe and Sound (Capital Cities, 2011), and Uptown Funk (Mark Ronson, 2014). A core group of five songs were chosen, comprising Canadian Pacific (George Hamilton IV, 1969), Heart Hotels (Dan Fogelberg, 1979), High Country Snows (Dan Fogelberg, 1985), Indiana Wants Me (R. Dean Taylor, 1970), and Steal Away (Robbie Dupree, 1980). With softer music the dominant trend of 2015, the final decision was made between Heart Hotels and Steal Away with the toss of a coin. After nine tosses to ensure a clear winner, 2014’s second-placer Steal Away at last took the Song of the Year award. Song of the Year 2015: Steal Away (Robbie Dupree, 1980). Nominees: Alive Again (Chicago, 1978), Ape Call (Nervous Norvus, 1956), Born to Be With You (Dave Edmunds, 1973), Building Bridges (Nicolette Larson, 1985), Canadian Pacific (George Hamilton IV, 1969), Change of Coast (Neon Indian, 2013), Geronimo (Sheppard, 2014), Heart Hotels (Dan Fogelberg, 1979), High Country Snows (Dan Fogelberg, 1985), Indiana Wants Me (R. Dean Taylor, 1970), Northern Lights (Renaissance, 1978), Please Come to Boston (Dave Loggins, 1974), Rocket 88 (Bill Haley, 1951), Safe and Sound (Capital Cities, 2011), Steal Away (Robbie Dupree, 1980), Transfusion (Nervous Norvus, 1956), Uptown Funk (Mark Ronson, 2014). The supreme award of the ceremony, the Spon Award for Excellentness, has been given to various categories over the years, from music to programs and films to fonts. It is given to the award winner deemed to have made the biggest impact upon Siroccan culture during the year. In 2015, judges determined that from a multitude of high-quality winners, it was Fallout 4 and Grand Theft Auto V that had been the most significant this year. It was noted that a number of songs from Grand Theft Auto V had been considered for nomination, with Change of Coast eventually put forward. It is is the second time that the Game of the Year has won the Spon Award, with Garry’s Mod victorious in 2014. Spon Award for Excellentness 2015: Fallout 4 and Grand Theft Auto V (Games of the Year). Nominees: Cortana (Program), Fallout 4 and Grand Theft Auto V (Game), Inside Out (Film), Metro Nova Pro/Geometric 415 (Font), Sandus (Micronation), Steal Away (Song), Yes Minister/Yes, Prime Minister (Show).